Are you an early bird or a night owl? We’ve heard these avian descriptions of behavior countless times, but it turns out there’s more to these labels than crack-of-dawn pep and beyond-midnight bedtimes. Whether we’ve tutted at late risers or sworn, for the nth time, to become a morning person ourselves, common wisdom about when we sleep and wake has influenced our schedules and outlooks. But how much of that is based on the realities of our bodies’ biology? Chronobiology, or the study of cyclical processes in living beings, remains a relatively young field. Though its beginnings stretch back to the 18th century, chronobiology didn’t become a formal branch of science until the 1960s. Today, it’s given us valuable insights into human behavior and biological rhythms, including concepts like sleep/wake cycles and the morning larks, night owls, and myriad behavioral distinctions that comprise chronotypes. Chronotypes refer to the natural activity and wakefulness patterns of living beings, including humans. Yes, the concept does involve when people prefer to wake, so we don’t have to throw out the “early bird” or “night owl” labels just yet. However, chronotypes go beyond personal preference—or rather, they state that these preferences aren’t just products of laziness or initiative, but of deep-seated biology. Chronotypes stem from our genes, though as with many biological traits, our environment also plays a role in how and to what degree these genetic factors manifest in our daily lives. Chronotypes, in particular, are determined by the complex interactions between multiple genes. Most prominent of these are the genes that have come to be known as “clock genes.” These particular genes are found in every cell within the human body, and they each run on a particular circadian rhythm. These cellular rhythms are then synchronized by the “master clock” circuits residing in our suprachiasmatic nucleus—a small area within our brain’s hypothalamus. The expression of these genes (including clock genes), or how they behave and interact, varies a lot between persons. Those variations account for our subsequent differences in “diurnal preference”—that is, whether we tend to get up “early” or not. The distinctions between chronotypes, in turn, go far beyond what time each type sets its alarms. Studies have shown that people’s periods of alertness and vigilance (i.e., the brain’s peak executive performance) vary according to their chronotype. Similar research has also found evidence for more physiological differences between chronotypes, like fluctuation patterns in body temperature. Most importantly for us here at Good Night’s Rest, strong links have also been established between a person’s chronotype and how their body secretes and regulates hormones like cortisol (responsible for our stress responses) and melatonin. Are Chronotypes and Circadian Rhythms the Same Thing? Not quite. Circadian rhythms refer to our body’s biological cycle, which encompasses different recurring process, including our sleep/wake cycles. For us humans, that cycle takes place in 24-hour periods, with minimal variations between people or from day to day. Chronotypes, meanwhile, refer to the individual timing of those circadian rhythms: when in the daytime or nighttime various processes in our circadian cycles kick in. That is, while we might all have these internal clocks that work with similar-length cycles, those cycles don’t start or refresh at the same time for everyone. Circadian rhythms refer to our internal processes and their periodic operation. Chronotypes refer to the resulting distinctions in our physiological attributes (e.g., temperature or hormonal activity) and our activity patterns. We’ve seen that chronotypes could explain a lot about people’s behavior and how to work best with their biological inclinations. Naturally, scientists have also recognized that; over the years, researchers have developed several tests for measuring a person’s activity patterns and identifying their chronotype. The most commonly used is the morningness-eveningness questionnaire. Developed in 1976 by Olov Östberg and James A. Horne, the MEQ works as a 19-item self-assessment that places people in one of three categories: Morning, Evening, or Intermediate. Over the years, other researches have refined the questionnaire and validated its results for different populations and cultures. In 1989, the researchers C.S. Smith, C. Reilly, and K. Midkiff introduced a new 13-item questionnaire called the composite scale of morningness that tried to measure participants’ “internal” criteria better than existing chronotype measurement scales. Later, in 2013, the researchers Myriam Juda, Céline Vetter, and Till Roenneberg proposed their own scale, the Munich ChronoType Questionnaire or MCTQ. The questionnaire uses sleep behavior, particularly mid-sleep times on participants’ free days, to determine chronotype. Since the original questionnaire’s introduction, the research team has come out with a supplemental version that also accounts for the distinct circumstances entailed by night-shift work. Aside from these three, other scales have also been developed and used for the measurement and study of chronotypes. However, these three tend to be the most commonly used. What Are the Different Chronotypes? Since chronotypes are a relatively new subject and chronobiology is an equally young field, scientists have yet to settle on standard terminology. “Morning lark” and “night owl” are some of the terms commonly used to denote chronotypes. As the names imply, morning larks are the early risers, predisposed to be alert in the morning and more likely to head to sleep earlier in the evening. They tend to report greater productivity in the hours from morning to early afternoon. Night owls, by contrast, wake later and tend to fall asleep at later times, too. They tend to be most active and productive in the late evening. Over the years, studies have also established—and disproven!—links between chronotype and various personality traits and behaviors. Often, for example, culture has trained us to think of late risers as “lazy” or “unproductive.” But as early as 1998, researchers had established that getting up earlier didn’t provide any advantage when it came to cognitive performance, health status, or even the ability to earn more money. 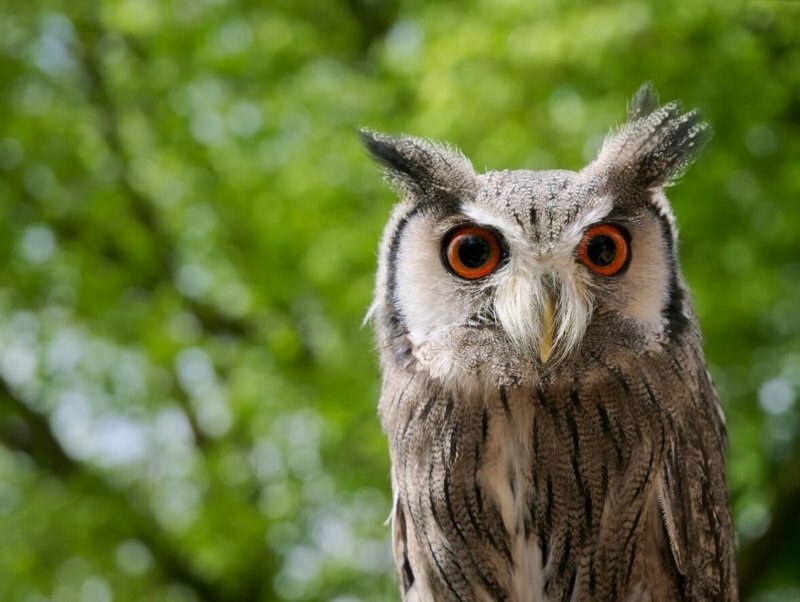 That said, when it comes to health risk factors, owls are more likely to consume alcohol, drink caffeine, or smoke cigarettes than larks, in part because owls are more inclined to seek out “novelty.” On the bright side, evening-types are also more likely to score higher on intelligence scales than larks. Some of the common wisdom does seem to have scientific basis, though. We celebrate the early bird’s ability to catch the worm, and it turns out that larks are more likely to be proactive and conscientious than owls. They’re also less likely to procrastinate. The lark-and-owl tandem might imply an either-or classification, but it turns out that chronotype is more of a spectrum. Owls comprise about 20% of the general population, while larks account for around 10%. The vast majority of people tend to fall somewhere in between. Right now, there’s no definite term for the in-betweeners. Some scientists use the terms “finch” or “hummingbird” as a catch-all for the intermediate types. Others, meanwhile, have tried to identify more specific sub-categories that can differentiate people in the broad “mid-range” of the chronotype spectrum. While Dr. Breus’ classifications might be the most well-known, or at least well-publicized, some of his broader claims about each type’s personality traits and his subsequent recommendations can stretch a bit farther than solid research science might support. That said, Dr. Breus isn’t the only researcher in the chronobiology field, and there are other studies that examine chronotypes’ effects and implications in more precise detail. How Do Chronotypes Affect Us? One of the biggest consequences of chronotype goes by the name “social jet lag.” First described by German researchers (including Till Roenneberg, creator of the Munich ChronoType Questionnaire) in 2006, social jet lag refers to the dissonance between an individual’s biological time and social time. Many social activities and commitments, like work or school, tend to start early in the day and proceed on a regimented daytime schedule. These schedules favor “morning larks,” but more importantly, they can be markedly detrimental to the productivity, engagement, and well-being of other chronotypes. Social jet lag can lead to other, more dire consequences. Chronic sleep disturbances due to misaligned sleep patterns (due to work or school demands, for example) can lead to fatigue, and—related to Owens’ findings about reduced “self-regulation—the higher rates of alcohol and tobacco consumption mentioned earlier. More worrying, a team of researchers led by Dr. Roenneberg (one of the scientists who coined the term “social jet lag”) found that prolonged discrepancies between biological and social clocks led to disrupted energy homeostasis, or energy regulation, within our bodies. The processing of food, also known as our body’s main source of energy, is part of that homeostasis chain; subsequently, social jet lag was shown to lead to higher levels of obesity. 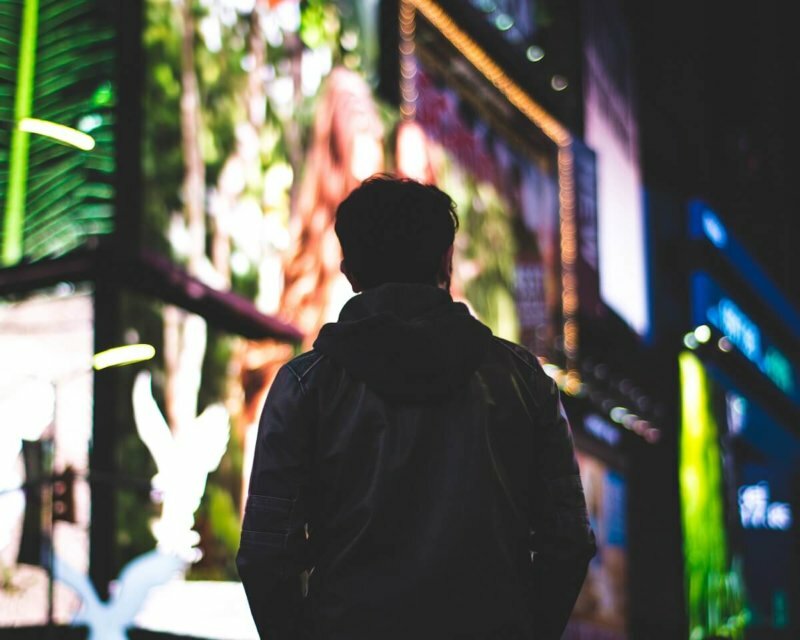 Similarly, in 2013, a team of researchers from Germany’s RWTH Aachen University led by Dr. Jessica Rosenberg found that night owls had lower concentrations of white matter in areas of the brain associated with emotional regulation. White matter is a type of brain tissue that facilitates signal transmissions between neurons. Reduced white matter volume, in this case, implies both less resilience to sleep disturbances and a greater risk of developing depression. Does this mean night owls are doomed to suffer in our morning-oriented world? Not necessarily. While chronotypes might be inscribed in our biology, there are many external factors that affect how our activity patterns play out in our day-to-day. Lighting, environmental temperature, our daily schedules and work shifts, or even our coffee routine can all contribute to our chronotype’s effects on our mood, performance, and well-being. What matters is that many of these external factors are within our control. Once we understand how chronotypes work and what our personal patterns are, we’re better-equipped to modify our environment and our behavior to work in our favor. Of course, optimal routines and habits differ for each chronotype. Check out our tips for harnessing the power of your chronotype, regardless of where you fall on the spectrum!